Call us for fast service on your shelving project. 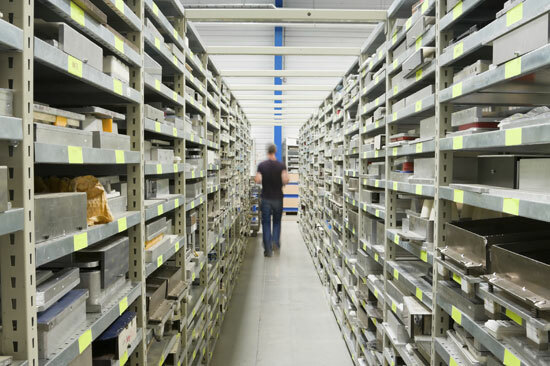 We have decades of experience and a wide variety of shelving solutions ranging from simple boltless "rivet" shelving to high-density mobile aisle systems, to modular shelving units and more. With experience in virtually every type of load an situation, we can help you identify the right solution for your application at the right price and lead time. Since we stock rugged Penco steel and rivet shelving, we have fast access to product when you need it. We also utilize Hallowell, Rousseau, Western Pacific, SSI Schaefer, Quantum and more to meet customer needs. We implement storage solutions for warehousing and industrial picking operations, records storage needs and schools. Distribution centers utilize our shelving systems for order picking. Automobile dealerships utilize our services to create space-saving parts rooms. Manufacturing operations store components and reserve SKU's on our shelving systems.